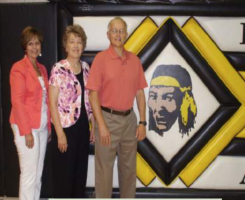 The Defiance Area Foundation has been serving communities within Defiance County for the last 40 years. In these 40 years, the Defiance Area Foundation has been able to touch thousands of lives of those families residing within Defiance, Hicksville, Ney and Sherwood Ohio through many different funds for many different needs. Being able to “bridge the communities” within Defiance County is very important to us. By providing a vehicle for community partnerships such as The Defiance County Fairgrounds grandstand project, or the Veteran’s Memorial Park, The Defiance Area Foundation is able to bring people together and continue to strengthen grant-making in all of Defiance County. It is always exciting when we develop new funds and receive gifts within these communities. 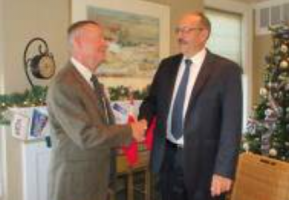 The Hicksville Community Fund and Sherwood Community Fund were started in their respective communities to benefit projects and programs and support their local efforts. What’s on the Horizon for 2018 – 2019? 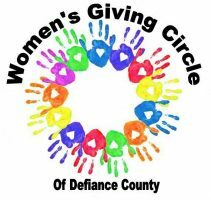 The Women’s Giving Circle (WGC) reached a milestone this year at 100 women strong! Gifts to the fund benefit our local community annually, while 25% of your donation is endowed to leave a legacy for future generations. Since inception in 2011, the WGC has granted over $118,000 to benefit women and children in our community. The Ohio Women’s Open entered it’s 11th year and we are blessed to be a part of this unique golf outing in our community. The Sherwood Community Fund Committee continues to work hard to raise gifts and award grants in the Sherwood Community. Thank you to this team who continues to serve . If you are interested in becoming more involved in the Sherwood and Hicksville development, grant-making or committee opportunities, contact The Foundation for more information.